Thanksgiving is a time of reflection and growth, but in our culture, it is also unfortunately linked to more consumerism. Join us to step away from those habits this year, and deepen your practice where the jungle meets the ocean. We will practice gratitude for the gifts of life at a deep level as we strengthen connections within yourself, your community, and the planet we call home. We're grateful to have you join us on this journey. * Daily housekeeping; beach towels provided! * Filtered water available throughout the resort; coffee & tea to start your days! We are located 5 hours from Panama City (and trust us, it's worth every second of the journey!). When booking flights, please do keep this in mind. We suggest flights arriving to Panama City on November 17th to allow time to settle, ground, and join in on the group transportation Sunday Morning. On your return, flights later than 6:00pm are recommended. .
Ready to give T H A N K S - and join us here in P A R A D I S E? Spaces are limited, and all bookings are based upon shared occupancy; if you are interested in private occupancy - please inquire for availability. Please email retreats@sansararesort.com to secure your space in this wonderful retreat week. Spaces are limited! 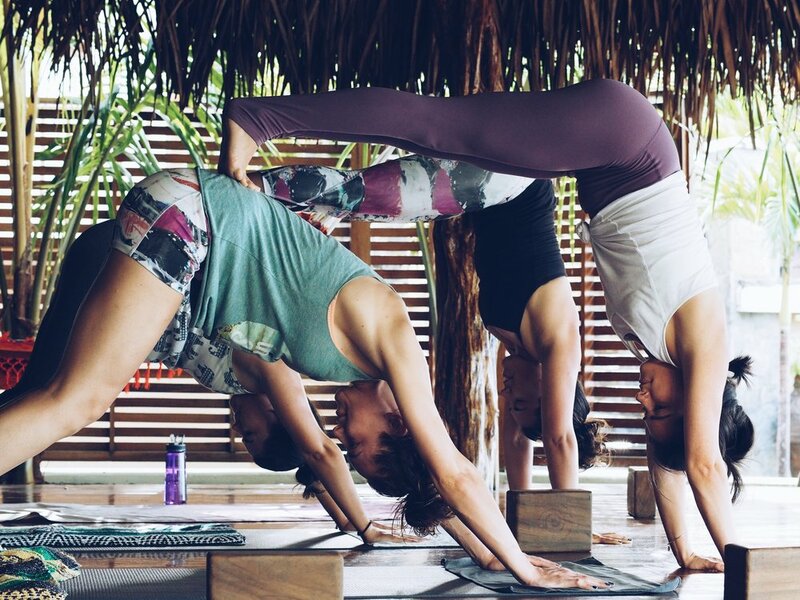 As the Founder and Dean of Scholé Yoga University, Micah Scholes has personally facilitated nearly thirty yoga teacher trainings as well as countless workshops and electives. Students describe his teaching style as intense but empowering. His classes share the joy and inspiration that exist in every moment – even those that are uncomfortable or challenging. He firmly believes that the way yoga teachers can do the greatest good is to help people become their own best teacher. Micah is a consummate student and has completed well over five thousand hours of training and study in the yogic arts. He is recognized by the Yoga Alliance at the highest level (E-RYT 500) and is also a certified Tai Chi instructor. In addition to exhaustive studies in yoga and meditation, Micah has four college degrees, including a doctorate in jurisprudence. As a bar licensed attorney, he is proud to have worked with the Salt Lake County District Attorney's Office, the Rocky Mountain Innocence Center, and numerous other governmental or nonprofit organizations that protect and serve the underprivileged and marginalized. In his spare time, Micah enjoys anything that gets him outside and connected to nature, especially rock climbing, surfing, hiking, stand up paddle boarding, marksmanship, camping, and other wilderness adventures. Follow Micah on Instagram here and reach out directly by emailing micah@scholeyoga.com. Once smitten with a serious case of wanderlust that took her from Canada to Kyoto, the Andes, Los Angeles, and other parts known and unknown, Shannon finally found home when she landed at Scholé. As co-owner, she is instrumental in helping to shape the way we form connections and communications with our community. Shannon believes mindfulness and meditation are essential to the practice of yoga, and led the creation of Scholé NIDRA guided meditation and conducted Utah’s first Yoga Nidra teacher training certification at Scholé Yoga Salt Lake. As a Level Three Certified Guide with over a thousand hours of teaching experience and lead facilitator at Scholé Yoga University, Shannon strives to help students become more comfortable with the inevitable uncertainty of life. Shannon knows that every emotion and experience has a lesson for us, and when words fail, a smile will take you a long way, whether to a strange country far away, or on your mat in a Scholé studio. Follow Shannon on Instagram here and reach out directly by emailing shannon@scholeyoga.com.